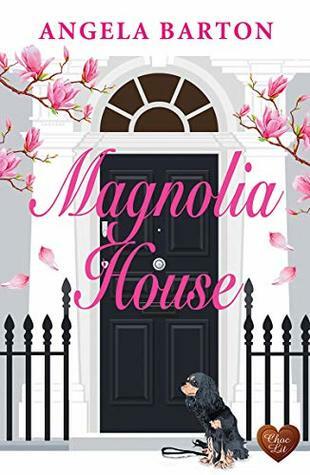 Magnolia House is everything Rowan Forrester and her husband could have ever wished for in a home! With rooms perfect for living and for working, Magnolia House was meant to be the start of a wonderful future, the newest chapter in an already happy marriage. Unfortunately, the universe doesn’t always dance to the same tune as our wishes and within weeks of moving in, Rowan finds herself very much alone and unsure of her future. Not willing to turn her life upside down yet again, Rowan decides to renovate Magnolia House making it suitable for both herself and renters. Bringing strangers into her home is a scary prospect, but for once, the universe seems to be on Rowan’s side. While visiting her parents in France, she inadvertently runs into (literally!) Ace, a wonderfully happy, energetic, and enthusiastic man who happens to be looking for a new place to call home back in jolly old England. One suite down, one to go . . .
Nora and her adorable daughter, Primrose have been down on their luck for a time, but things are starting to look up and the first bit of hope they have had comes in the form of a suite in Magnolia House. Nora is a model and wonderful mother and the new company brings a bit of joy back to Rowan’s life and certainly to Magnolia House. As everyone settles into their new lives, new homes, and new arrangements, Rowan does her best to navigate it all and move past the heartache of her loss. She becomes fast friends with Ace, finds some small success with her jewelry making small business, adores looking after Primrose and chatting with Nora, and disturbingly attracted to Ace’s roommate. Yes, things are definitely changing in Rowan’s life; sadly, not all the changes are good. Though Rowan’s jewelry is selling well, she needs to do more, make more, market more if she is going to have a successful and proper business. Her attraction to James is exciting yet also feels like a betrayal of her late husband, her best friend (and sister-in-law) is clearly struggling with something beyond the loss of her brother, and there are the nasty messages that keep appearing, messages that hint at a dark past Rowan knows nothing about. As if the grieving process weren’t enough, Rowan also must deal with all these issues as well as the day-to-day bits that life always seems to throw at her. Little does Rowan know, all the problems and all the issues are going to come to light and be dealt with in one crushing moment and Magnolia House will never be the same again. The Bottom Line: I have had a truly excellent start to my book reading year and Magnolia House is just one more example of the excellence! The synopsis really doesn’t do this book justice with regards to how much actually occurs, how many lives and moments intersect, and how the past comes crashing, in a most spectacular way into the present. This isn’t just a story about love, friendship, and loyalty, but also one of learning to trust again, healing, and accepting the past for what it was and moving beyond it into a bright and hopeful future. Magnolia House is also very much about the strength of one woman who discovers rock bottom does indeed have a basement and there is nowhere to go from the basement, but up. I found this strange mixing of people and events to be most enjoyable with all the emotions and feels and plot twists to be entirely engrossing. Once Magnolia House really got moving, I found it hard to put down and very much plowed my way through to the much deserved HEA.